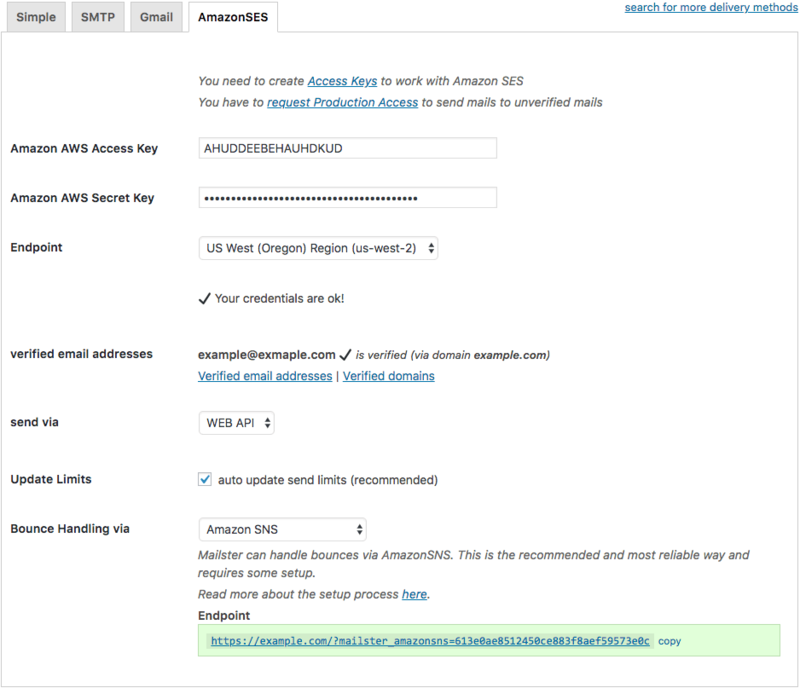 Before you can use Mailster with AmazonSES you have to create a new account on the Amazon Web Service site. 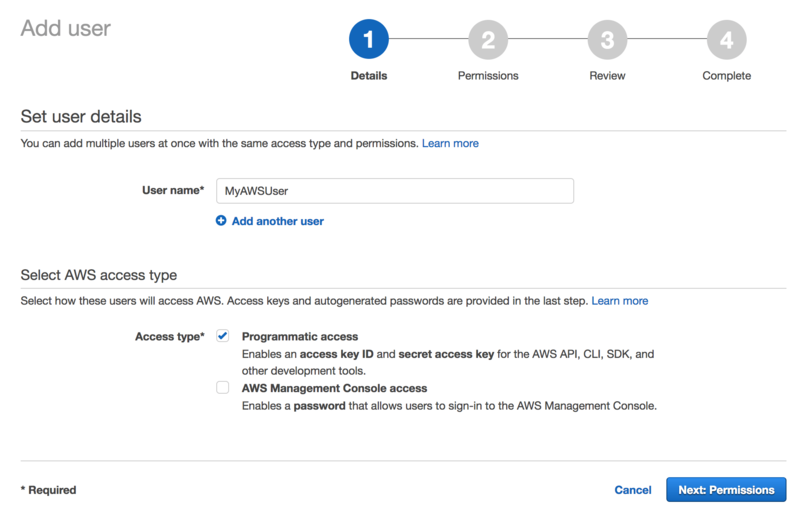 After some registration process you have access to the AWS Console. 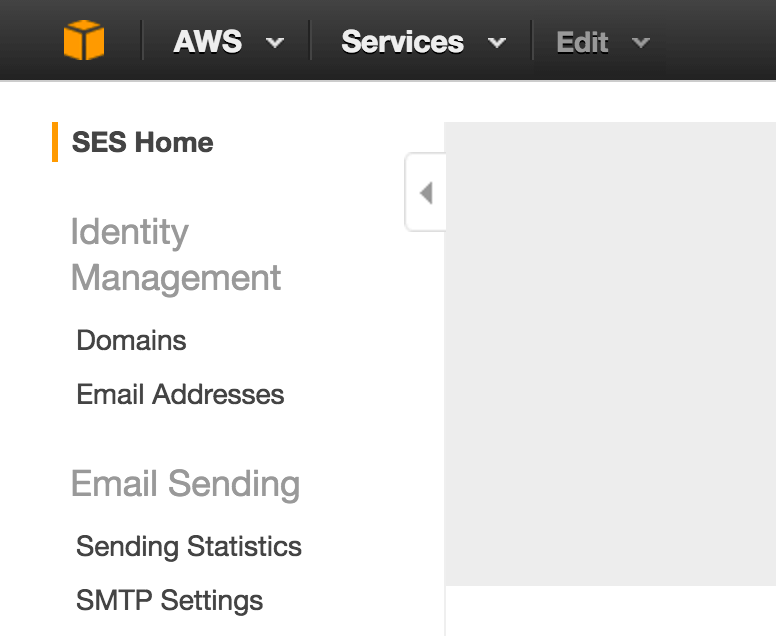 Next step is to move to the SES dashboard to manage all you email related settings. Here you can verify your email addresses and whole domains. If you can change the name records of your server it’s recommended to verify your domain so you can send with all associated email addresses. If you verify a single email address you can only send from this particular email address. You have to verify your from address, reply-to as well your used bounce address! Please note updating your namespace may take up to 48h to take affect around the globe! You need a pair of access keys to use this service. You can create them on the Security Credentials page. 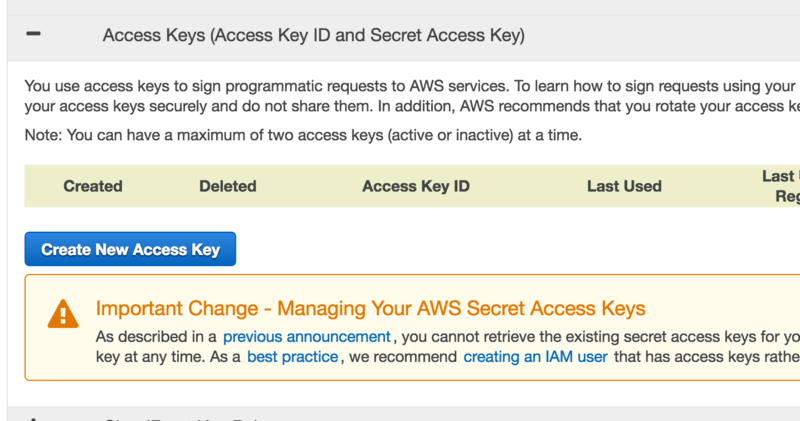 Use these two keys in the Mailster Amazon SES plugin. Amazon SES has a very strict fraud and abuse prevention system. In order to send to unverified email addresses (which are all your subscribers) you have fill out this form and wait for approval. Read more about the sandbox here. Next step is optional and only needed if you like to send via SMTP API. Better and mostly faster is using the WEB API. You will now get the SMTP credentials you can use in the plugin. 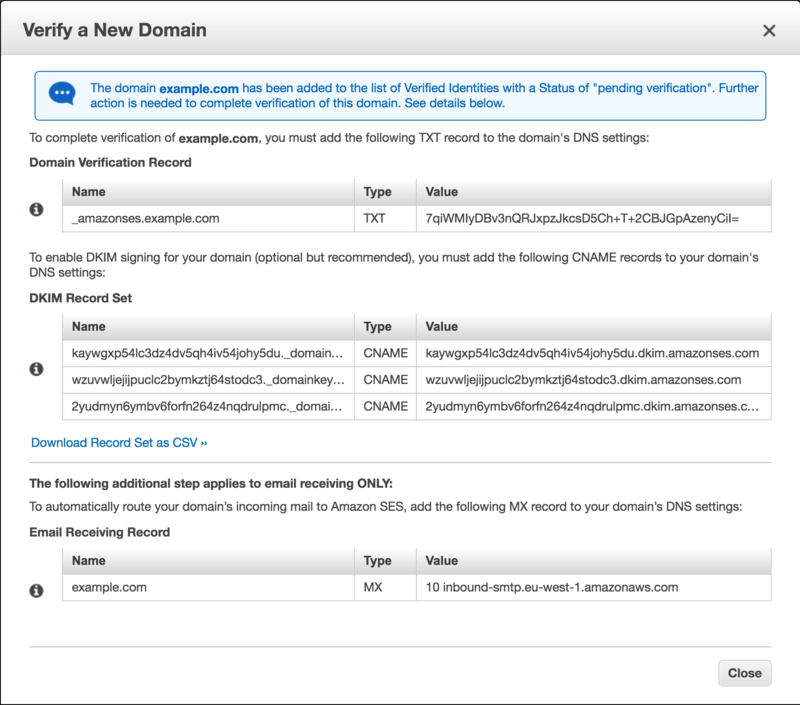 Amazon SES has most likely the most complex registration required but at the end the provide a solid solution for sending mails. You can let Mailster handle bounces if you setup automatic bounce handling but a more reliable way is to handle them with AmazonSNS. Read more on our guide here. For some time now Amazon SES allows to create users in your account which can gain certain access level. Go to the Users Dashboard and click on the button to add a new user. Enter a User name and give “Programmatic access”. In the next step you have to define the Permissions. 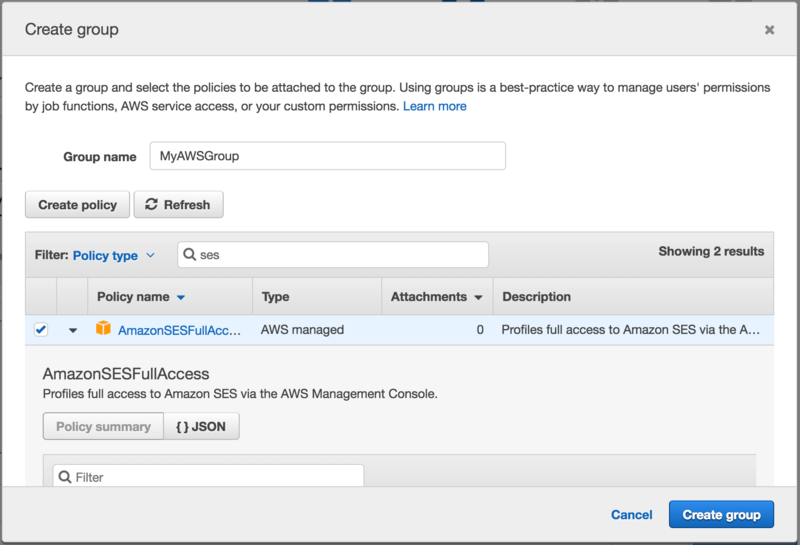 Permissions are wrapped in Groups so if you don’t have a group yet you have to create one with at least the “AmazonSESFullAccount” policy. Finish the user creation process and you new user should show up in you users list.